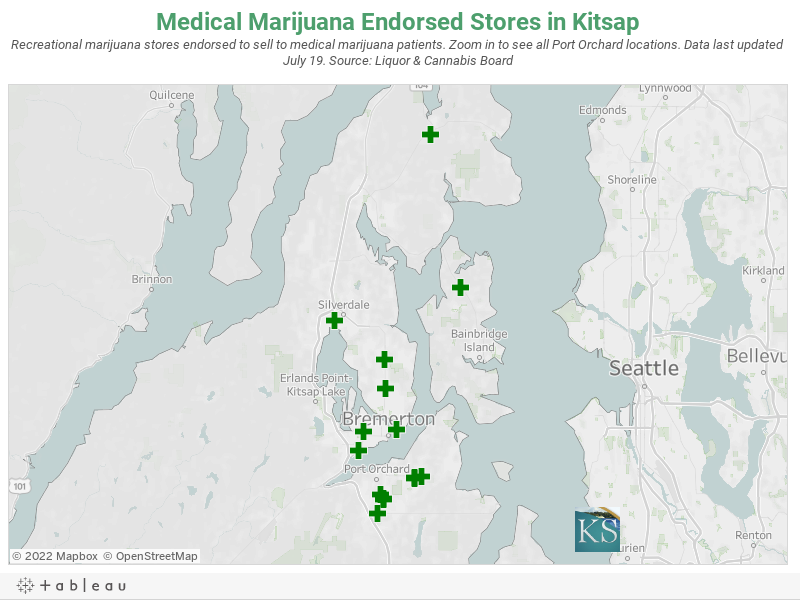 The state has nine marijuana licenses left to issue in Kitsap County and nearly 40 applicants are vying to receive them. The Liquor and Cannabis Board opened a new application period for retail licenses in October, as the state laid the ground work for rolling the medical marijuana industry into the recreational system. The board announced Monday it would stop taking applications at the end of March. 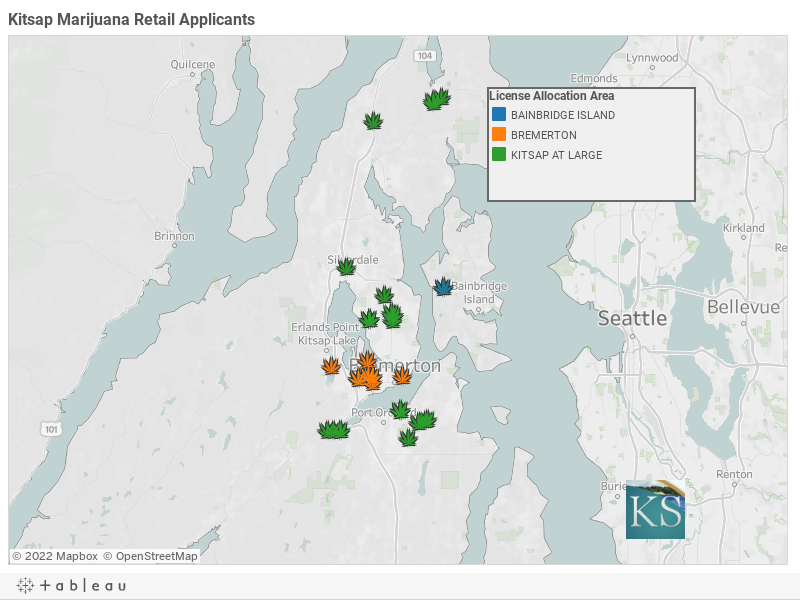 As of Tuesday, 37 retail applications were pending in Kitsap (see map above). The state will allow 20 total retail outlets in the county. Eleven licenses have already been issued, leaving nine to dole out. Priority 1: Applicants who applied for a marijuana retail license prior to July 1, 2014, operated (or were employed by) a collective garden prior to January 1, 2013, have maintained a state and local business license and have a history of paying state taxes and fees. Priority 2: Applicants who operated (or were employed by) a collective garden prior to January 1, 2013, have maintained a state and local business license and have a history of paying state taxes and fees. Priority 3: applicants are those who do not meet priority 1 or 2 criteria. Since October, the board has received 162 priority 1 applications, 63 priority 2 applications and 879 priority 3 applications with 166 still awaiting prioritization, according to the release. I corrected the license allocation graphic in this post to reflect a second Bainbridge Island application. 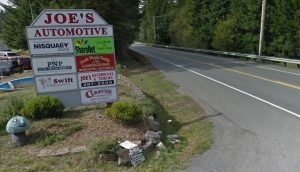 Both island applications are for the same Miller Bay Road address. 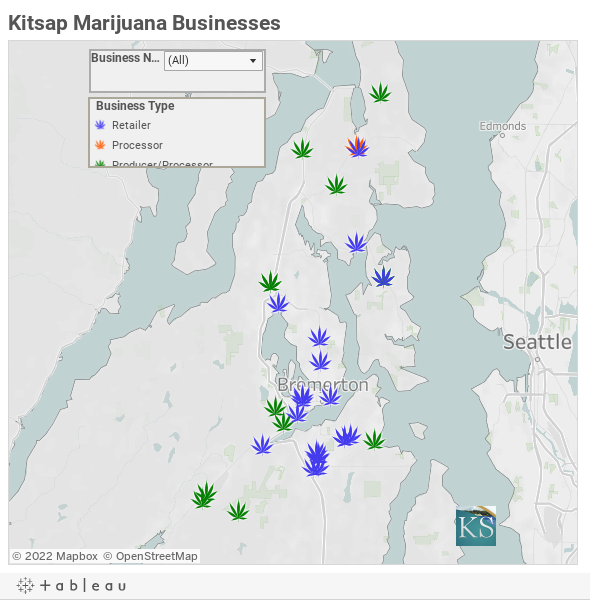 About 52 percent of Poulsbo residents voted in favor of legalizing recreational marijuana statewide in 2012. But legalized pot businesses won’t be opening in the Viking City anytime soon. The City Council adopted a ban on marijuana enterprises (PDF) last summer that remains in effect. Prior to the vote, council members voiced societal and moral concerns with legalizing pot. They also argued permitting and regulating the new industry would be expensive, and the city would receive negligible economic benefit in return.